Windows systems offer a variety of special files that contain important pieces of information that are useful in a forensic investigation. Some obvious examples include the pagefile.sys, event log, registry hives, and NTFS-specific files such as the Master File Table ($MFT). It is a common misconception of many forensic investigators and incident responders that collecting these special files from a live system is cumbersome and impossible to do via the command line. In this blog post I will show a couple different ways to bypass the protection mechanism that Windows holds on these files. Without this hold, it then becomes possible to acquire these files from a running system. You have most likely found yourself in the situation were you wanted to copy a file from a running Windows system, only to be greeted with the infamous “File in Use” dialog box. This is Windows’ way of ensuring that the file is not changed by another process while we are copying it so that we’re not left with a distorted version. For us to succeed with the copy operation we need to communicate directly with the hard drive of the system. This may be accomplished by referring to the volume that the file resides on using Win32 device namespaces, also called "DOS Devices". By using the "\\.\" prefix we will access the Win32 device namespace (or NamedPipe) instead of the Win32 file namespace to give us direct access to physical disks and volumes without enforcing Windows file protections. In order to illustrate how the process is carried out I will use a tool from Microsoft called ‘nfi’ (NTFS File Sector Information Utility). Notice the last line, this tells us that foundstone.txt is located on logical sectors 7357616-7357623. With this information we can continue to carve out the file from the file system. This is a technique that is commonly referred to as “disk carving” and is used quite extensively in computer forensics. The tool of choice for disk carving is ‘dd’, the “Swiss army knife” of disk based forensics. In this example I will be using the version of ‘dd’ that is included in the Forensic Acquisition Utilities (FAU) written by George M. Garner Jr. First we need specify the Win32 device namespace of our volume as the input file (“if”) and the size of our sectors as the block size (“bs”). We also need to specify where on the volume we want to start carving (“skip”) and how many sectors we want to process (“count”). 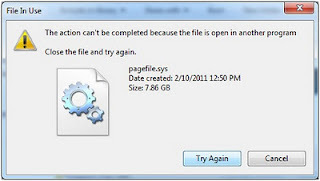 The option ‘conv=noerror’ tells the program no to stop its operation if it encounter any errors. Below we’ve also piped the output into hexdump so it’s a little easier to read. 00001e0: 6461 7461 2064 6174 6120 6461 7461 200a data data data . As you can see, there is data being printed to stdout even after the data in our file has ended. The reason for this is because a file occupies sectors grouped together on an even boundary. This grouping of sectors is called a cluster and the data that we see after the end of the file is referred to as slack space, remnants of old files that used to occupy the same sectors that now are part of the clusters for our file. As a side note and interesting detail from a forensics stand point is that no time stamps are modified. Now that we know the basics of what is needed to acquire a file using the Win32 device namespace, let’s take a look at using a more automated method for doing so. Another way to get files of the system (not worrying about slack space at the end of the file and with no need for manual calculation of where the clusters start and end) is to use the utilities ‘ifind’ and ‘icat’ from Brian Carriers’ the Sleuthkit.The Sleuthkit, in my opinion, is the best and most flexible forensic toolkit available – and it’s open source. By specifying the drive letter and the path to the file, ‘icat’ will return the entry number the file has in the $MFT. While this number is referred to as an $MFT entry on NTFS, it’s called an inode in UNIX based file systems. In order for ‘ifind’ to work properly the full path to must be given using UNIX style path (forward slash instead of back slash and with no drive letter in the beginning of the path). In this example we will acquire the security registry hive from the running system, a file that is normally not accessible. By using the files number in the $MFT as an argument to ‘icat’ we can easily carve out the file from the file system. The ‘icat’ program will take care of terminating the output where the file ends but we need to redirect the output from stdout to wherever we want to store the file. Now that we know how to bypass Windows file protection the only thing that remains is to automate the procedure so that we can include the “locked” files in our live data acquisition phase. I was going to post my wrapper script to ‘ifind’ and ‘icat’ but when I did some researching on the Internet I found a much better tool called ‘ntfscopy’. Here is an example of using ‘ntfscopy’ to acquire a copy of the $MFT from a live Windows system. Another tool that will get the job done is FGET or Forensic Get from HBGary, Inc. The program can not only acquire “locked” files from a local file system, but does also support over the network operations. FGET and other free tools from HBGary can be downloaded from http://hbgary.com/free-tools. Below is an example of me using FGET to acquire a copy of the $Mft. By including ‘ntfscopy’ or any of the other methods described above, forensic examiners and incident responders can now acquire protected files through a command line interface. Examples of how we can put everything together and automate it will be explained in part II of this blog post. Pär Österberg Medina has worked with computer security for over 15 years, with a background in both system administration and penetration testing. Prior to joining Foundstone, Pär spent the last 8 years working as an Incident Handler for the Swedish GovCERT, investigating computer intrusions and coordinating security related incidents. He specializes in Malware Analysis and Memory Forensics, finding Rootkits that tries to stay hidden in the Operating System. He has conducted training and lectured on this subject all over the world at conferences such as FIRST and The GOVCERT.NL Symposium. Very well written. I learned a lot from this article. Duplicating the handle of the file created in a certain thread and using high level API may also work in some cases. Great post. 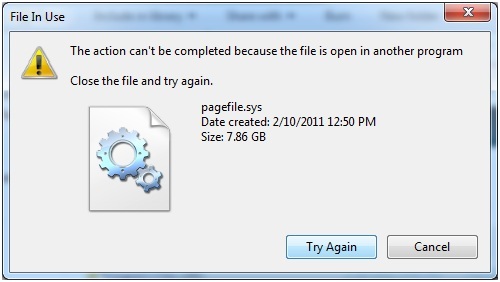 There are few things more frustrating than Windows denying access to a file you need. Two other options are AccessData's FTK Imager Lite (from a thumbdrive) and F-Response (if you are working remotely). It is nice to have options! I followed the procedure as you said above but didn't got the logical sectors row. Does this mean anything wrong? can you explain? I assume you are running the 'nfi.exe' program and it is that program that does not return any logical sectors. How large is the file that you are trying to query? You might be dealing with a file that stores its data in the $MFT entry itself, something referred to as resident data (http://en.wikipedia.org/wiki/NTFS#Resident_vs._non-resident_data_streams). In the example bellow I am creating a file that is too small to be allocating any clusters on the hard drive and when I run 'nfi.exe' on the file, no logical sectors are reported. You can however see that the data in question is stored in the $MFT entry itself - the $DATA attribute is resident. The for loop you asked about is just a quick and illustrative way to generate some data. The output of the command should be redirected to a file like in my example in the blog post. Can you please tell me what are the file types that stores its data in the $MFT entry itself? As I mentioned in my previous reply, if the file is small enough it will be stored in the $MFT entry itself and no clusters will be allocated on the hard drive for the content of the file. This is regardless of file type. Does anyone have a copy of FGET? It is no longer available on HBGary's site and I searched high and low for it but to no avail.